Can a Menthol Ban Survive Lawsuits? CBDs to Fill In for Vape Flavors? KANSAS CITY -- Smoker Friendly has signed a new Authorized Dealer to its SF Private Label Program--XO Corp., doing business as World Liquors, Xtra Mile, Jmart, Lakestop and Gorilla Express. Shawn Choudry operates 12 tobacco, convenience store and other retail locations in the Kansas City market. XO will introduce the Smoker Friendly products into its retail outlets the last part of May 2014. Smoker Friendly has 79 corporations participating in their authorized dealer program, accounting for more than 800 stores nationwide. Boulder, Colo.-based Smoker Friendly International is America's largest cigarette and tobacco store retailer. 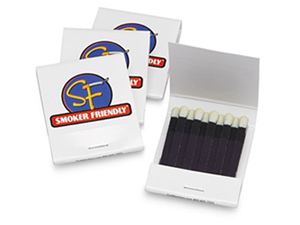 It designed the Smoker Friendly Authorized Dealer Program for existing retail tobacco store and convenience store operators who wish to market a competitively priced private-label product within an exclusive protected territory. This program is for the tobacco retailer who wants the advantages of a private label; more interaction with other tobacco retailers including information and idea sharing; clout with manufacturers; and the greater synergies that a nationally known private-label brand like Smoker Friendly provides.